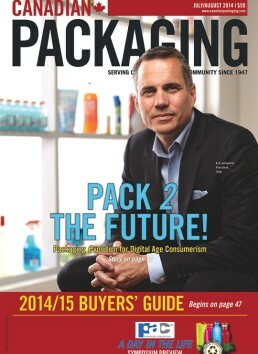 Branding guru lauds online retailing as the next great frontier for packaging innovation. 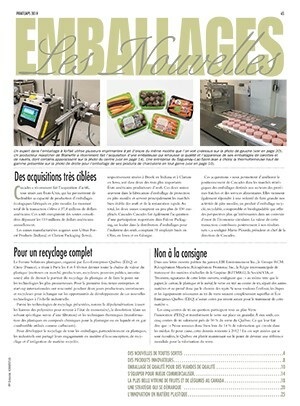 If challenges are really opportunities in disguise, as they often are in the world of global trade and commerce, then many of the world’s famed consumer brands risk missing the boat on unique, once-in-a-lifetime business opportunities of online shopping by failing to evolve their product packaging to keep pace in this dynamic new global marketplace with virtually unlimited potential for growth. And the window of opportunity for getting onboard the rising tide of e-shopping is narrowing each passing day, according to Eric Ashworth, president of a leading global brand development and package design services group SGK, headquartered just outside of Chicago in Des Plaines, Ill.
Having worked with hundreds of iconic CPG (consumer packaged goods) brands over the course of his 24-year career in various aspects of the brand and product development field, Ashworth says now is the right time for many leading brand-owners to display more urgency in responding to the special needs and expectations of the estimated US$440-billion global B2C (business-to-consumer) market with novel product packaging that understands and respects this new consumer paradigm, with all its quirks and eccentricities. According to Ashworth, one of the keynote speakers to feature at the upcoming A Day in Life packaging symposium taking place Sept. 30 – Oct. 2 in Toronto—organized by PAC, Packaging Consortium—brands owe it to themselves to leverage product packaging in a way that will create unique and memorable new consumer experiences for online shoppers that will nurture true brand loyalty and recognition. While online shopping still typically accounts for just a fraction of revenues generated by the traditional brick-and-mortar outlets for most retailers, it is a fast-growing fraction that has nowhere to go but exponentially up in the years to come, according to Ashworth, holder of a Bachelor of Science degree from the San Francisco State University and an MBA from the University of San Francisco. 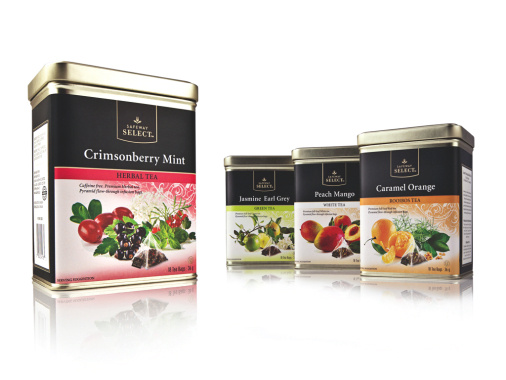 Widely acclaimed as one of North America’s more accomplished thought leaders on modern package design and execution, Ashworth observes that even among those companies that have nominally embraced the growing role of online shopping, there has only been scant evidence of genuine packaging innovation and optimization to date to suggest a full-fledged, earnest commitment to capturing the moment, as it were. A passionate believer in the virtue of staying ahead of the curve, Ashworth hopes that brand-owners have learnt enough from the largely underwhelming migration from hard-copy books to e-publishing in recent years to avoid similar shortcomings with their consumer products. “Online retailers have not really done the publishing industry a great service by just taking the pictures of the book-covers and using that to sell the books online,” Ashworth relates. “Here was a real opportunity to have developed such a far richer and more interesting experience for the readers with a little more creative input. “Sadly it’s now happening with pretty much every other consumer industry,” Ashworth laments. “What do you really get online from the CPGs aside from a still picture of the product package? “Surely, there could be a way to have a more robust brand experience online than just what you get at your local drug-store,” says Ashworth, adding that addressing this creative imbalance will form the heart of his presentation at the upcoming PAC symposium in Toronto. 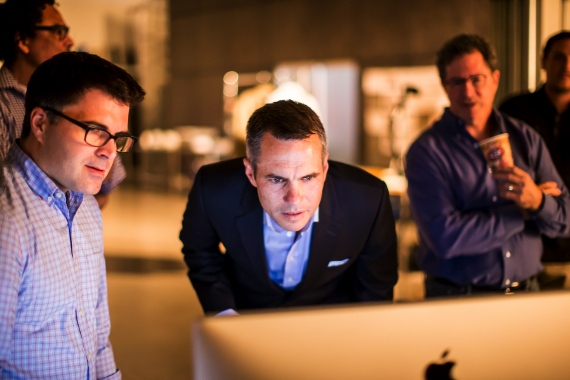 Eric Ashworth takes a closer look at product images on the screen alongside colleagues Ryan Davis (left) and Lor Gold. “That’s the heart of the conversation: How does the brand take advantage of its existing physical packaging to do a better job of selling a product in this [online] context, while also fulfilling the promise that this product makes once it reaches the consumer’s home—all done outside of the traditional retail environment? 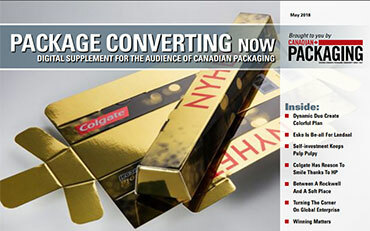 “I believe that this is a compelling, provocative and tactical topic that will provide the audience with plenty of interesting ideas to take home and really start thinking about right away,” Ashworth told Canadian Packaging in a recent interview. SGK provided the strategy, design, production and prepress services through its brands Anthem and Schawk! 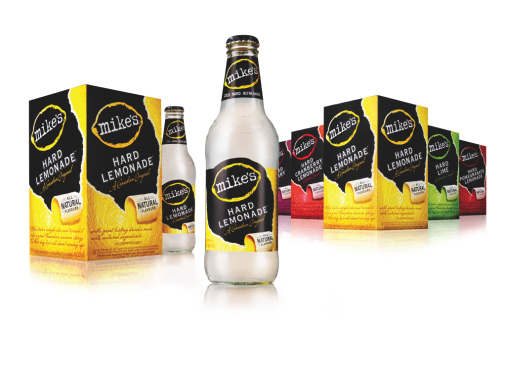 for the well-received 2009 packaging redesign for the popular Mike’s Hard Lemonade brand of vodka coolers. 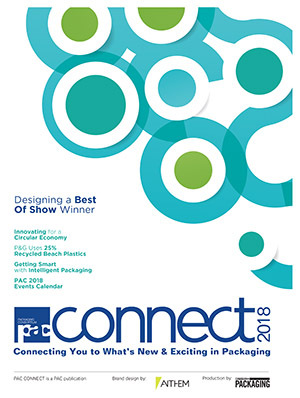 “There has to be a more proactive way of thinking about the role of packaging in this next-generation retail transformation to enable CPG manufacturers to gain a competitive advantage through that packaging,” says Ashworth, a compelling and highly-articulate public speaker who is also a tireless advocate for packaging as a key driving force of modern-day marketing and commerce. To make his point, Ashworth shares his own recent consumer experience of ordering replacement blades for one of the bestselling brands of manual men’s razor-shavers. “It’s hard to get excited about getting just another brown corrugated box, with maybe a one-color retailer’s logo, filled with a variety of plastic inflatable balloons (air-cushions) holding in place the very same package that I would normally buy at a mass drug-store,” Ashworth relates. “Moreover, the razors themselves come in a really difficult-to-open blister-pack that was originally made so that shoppers can’t steal them in the store, if they are not already kept under lock and key there. “It’s packaging for pilferage; not packaging for a happy consumer experience,” he states. “But if I get this product delivered to my home, having paid good money for it, why do I still have to risk cutting my hand on the blister-pack, or stabbing myself with scissors when cutting that blister-pack open?” Ashworth wonders. Via its Anthem and Schawk! 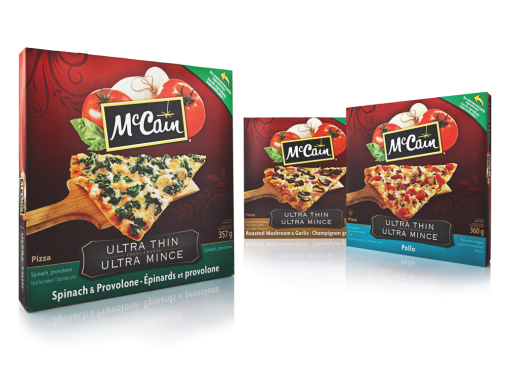 brands, SGK provided strategy, design, production and prepress services to McCain Foods bringing to life its new range of frozen pizzas by focusing on their use of real natural ingredients. This unwillingness or inability to provide a different packaging experience in the home delivery context can be detrimental to both brand loyalty and market share, according to Ashworth, while also leaving online shoppers frustrated with the resulting packaging overkill. “Is that applicable to everyday food items? Maybe not, but the point is that CPG manufacturers should be approaching their online business as a marketing investment, rather than a traditional profit center,” Ashworth states. According to Ashworth, this may require brand-owners to develop dual SKUs (stock-keeping units) for both in-store and online sales, or risk not growing online category sales as quickly as competitors, be they other CPGs or retailers’ private brand offerings. “Even if only 0.5 per cent of my volume is currently sold online, being able to make the brand experience better in the online context can allow me to bring some of that to my store-shelf experience, as well gain new insights that allude to packaging design that transcends the individual channels,” Ashworth explains. Says Ashworth: “In the online context, the point of differentiation is not going to be determined in a store aisle in a few seconds—it will be done online through a far more thoughtful and discerning decision-making process. “The question then becomes what role does the brand have in mind for packaging to play in that experience, and I would say that the online consumer experience for many popular CPG brands is far from optimized right now. 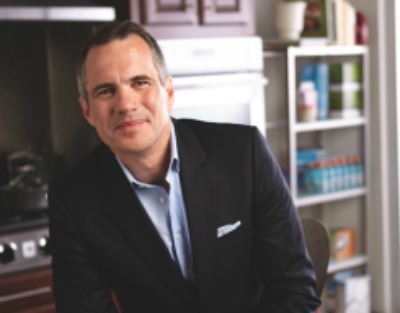 “If I am a big CPG player, I should be sitting down with a couple of my product line managers and start looking at online not simply as another sales channel, but as a way to connect with my consumers better,” Ashworth reiterates. 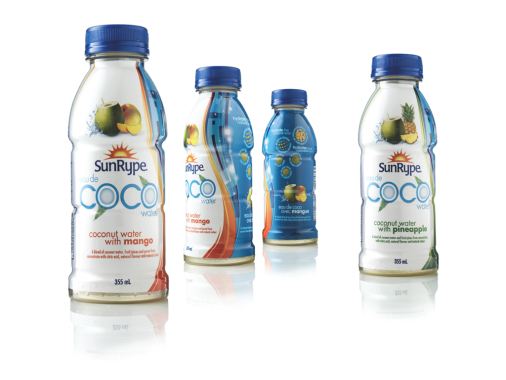 SGK’s brand Anthem has recently developed a refreshed new packaging look and a contemporary brand identity to highlight the high quality and natural goodness of SunRype’s Coco range of coconut water beverages. According to Ashworth, this contextualization of shopper experience naturally provides plenty of new business opportunities for companies like SGK, which formerly marketed itself as Schawk! and now uses that name to represent the company’s brand deployment services. As Ashworth explains, SGK is the formal name of the holding company that covers all of the company’s brands, which now also includes the Matthew Brand Solutions Group business added as a result of the recent acquisition of SGK by the Pittsburgh, Pa.-headquartered group Matthews International. As for the choice of the SGK name and NYSE ticker symbol, Ashworth deciphers the acronym as a deft interplay of initials for the company’s founder Clarence W. Schawk; the company’s core initial primary business of Graphics; and the historical Kedzie Street in Chicago where Schawk first started out. According to Ashworth, many North American retailers would also be wise to pick up a few tips on how to make their online shoppers feel more uniquely appreciated from their European counterparts. “In North America our backbone is building up big shopping experiences and having people drive to them and spend hours going through a shopping list and filling up a huge cart, because we have the space for all that,” Ashworth states. “In Europe, on the other hand, you have these condensed markets where retailers are far more reactive to their local consumers,” Ashworth relates. “This helps explain why their private-label brand market-shares are so much higher—they are more in tune with what’s going on around them because they are embedded in a much more dense urban environment. “So whereas our retailers are much more sellers of other people’s (CPG) products, the Europeans offer more nuance to their shoppers, rather than the same old SKUs that are sold to everyone else. Ashworth draws direct parallels to the Club Store experience of the last few years, when the likes of Costco and Sam’s Club took advantage of their growing popularity to prompt their suppliers to come up with new retail-ready packaging innovations that would better reflect the Club shopping experience for their customers. 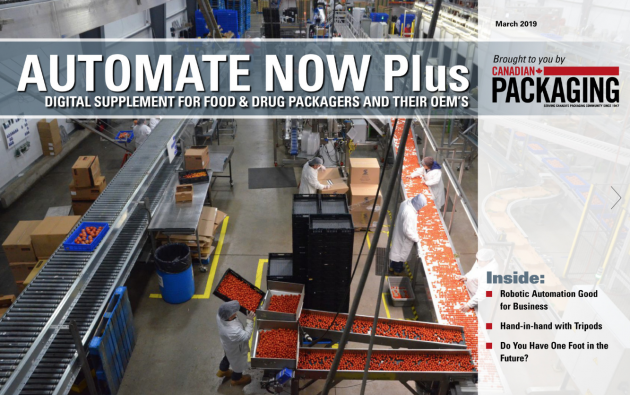 “As a result, CPG companies who had once cellophane-wrapped several boxes together to be sold at Club outlets eventually started creating new SKUs designed specifically to serve the Club environment as a new sales channel in its own right,” Ashworth explains. “Well, online shopping is the new Club,” he asserts, “and online retailers will continue to be aggressive with how to take advantage of their customer experience and the products they provide them. The blueprint for making this new packaging paradigm a reality has already been laid for some time, says Ashworth, singling out the wildly successful launch of the now-ubiquitous iPhone by Apple back in 2007. 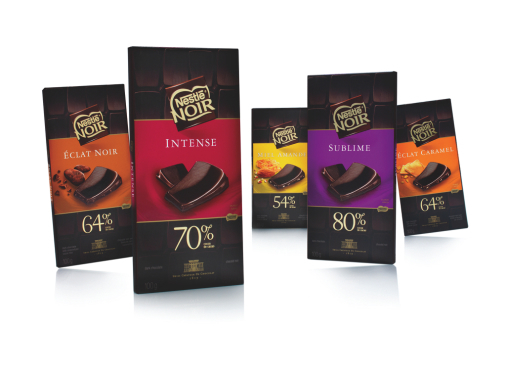 SGK’s brand Anthem designed the sophisticated packaging to highlight the Nestlé Noir chocolate brand’s unique product attributes, while also helping resolve the visual challenges that in the past caused the brand to become lost on the shelf amongst the multitude of competing products. “In the years leading to that we all knew that some sort of a smart device ‘thing’ to contain all our contacts, emails, photos, music, entertainment, etc., would eventually be created—we just didn’t know exactly when it would actually arrive into the mainstream markets,” Ashworth relates. “What Apple did was create a whole new sensory experience for consumers by bringing all those things online in a perfectly-engineered little box that laid out all the information it contained in a way that encouraged further consumer involvement and engagement with the whole online experience. “It’s rather unfortunate that the game-changing iPhone has not changed all that much itself since it first came out,” Ashworth chuckles, “but the point is that since we already know that people who shop online act differently in their more intimate home environment than they do inside a store, should their brand experience also not be different as well to reflect that? “Because it is a vastly different experience from a retail store, where you have 50 competing brands screaming at you, this is the opportunity for brands to rethink their packaging structures and designs to really appreciate the full context of that new experience,” he implores. 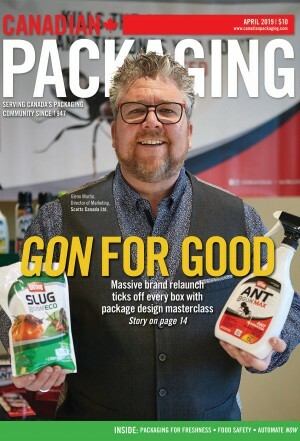 Says Ashworth: “There are now many opportunities for brands to do a better job of communicating their differentiation through packaging experiences in people’s home via e-commerce solutions.